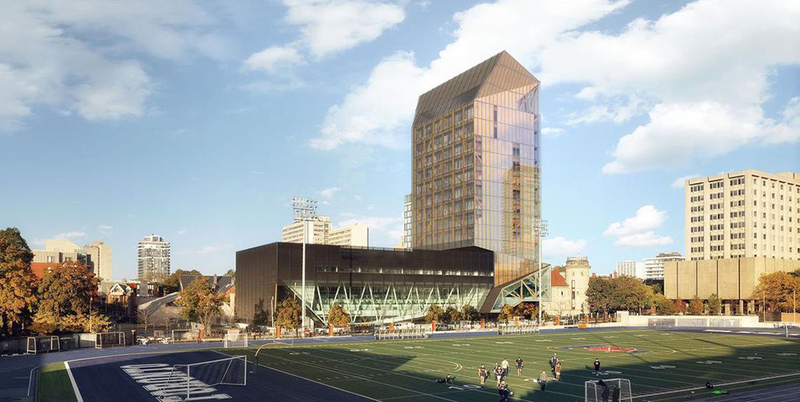 The University of Toronto is teaming up with Vancouver-based practice Patkau Architects and Toronto’s MacLennan Jaunkalns Miller Architects (MJMA) to build a 14-story timber and concrete tower, the tallest in North America. 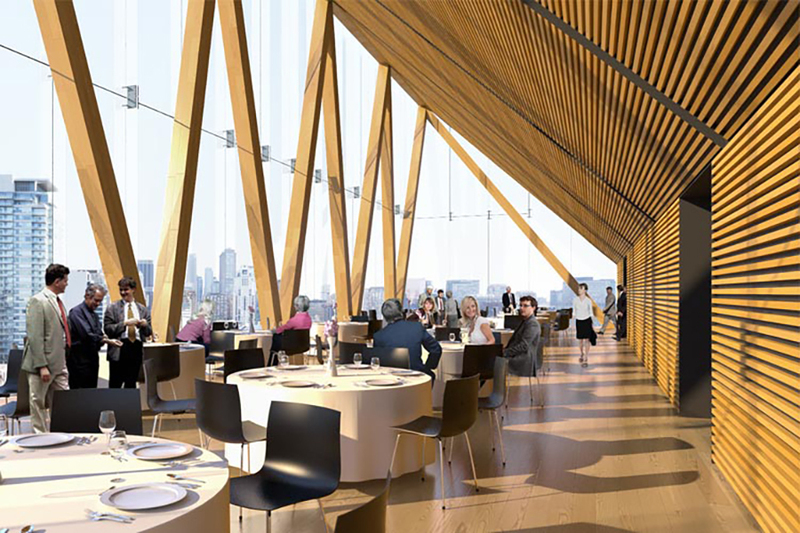 The entire CLT structure is wrapped in multi-angled glazed glass, with a series of skylights and tilted planes providing natural light to atriums and stairwells below. 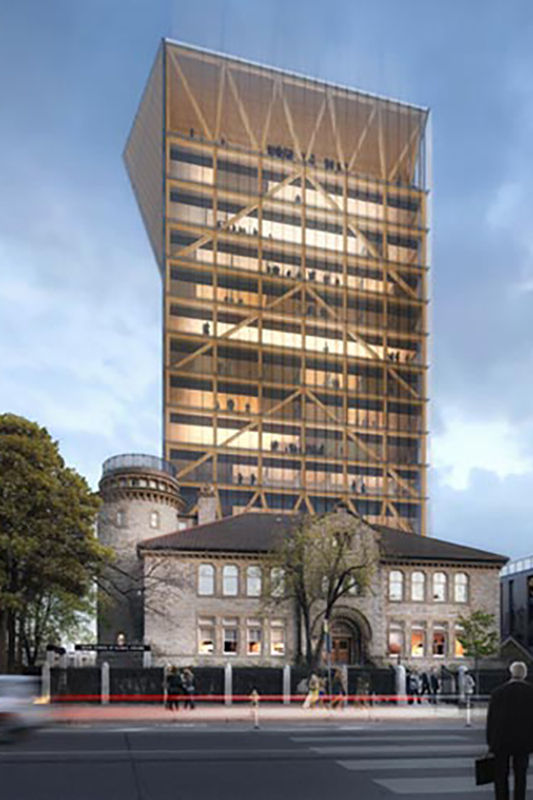 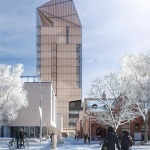 The tower will be built atop the University of Toronto’s Goldring Center, which was designed by Patkau Architects and MJMA in 2014 to support the mass of a significant structure atop it. 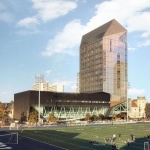 According to the University of Toronto News, the tower was originally going to be built of steel and concrete. 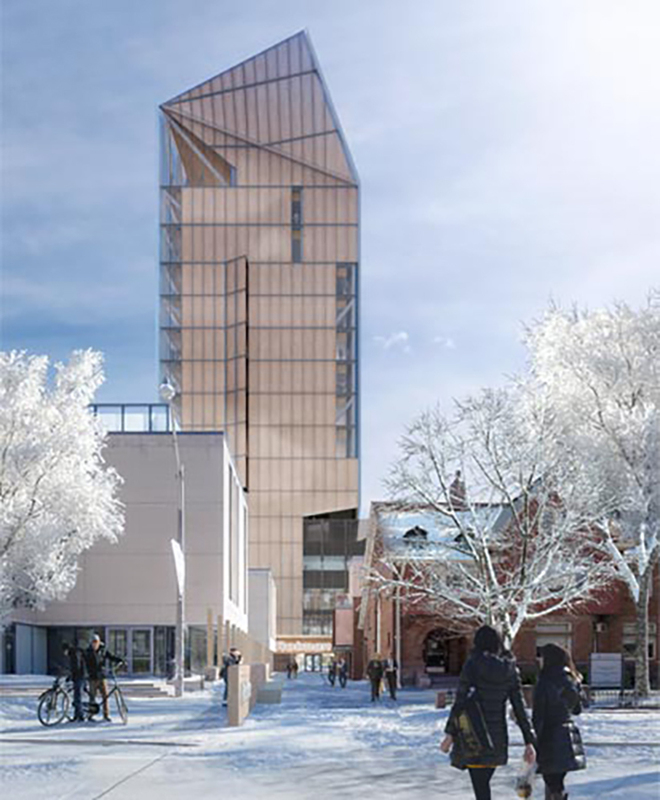 However, wood building incentives provided by Ontario’s Mass Timber Institute and the environmentally friendly qualities of timber construction convinced the school and the designers to opt for the natural material. 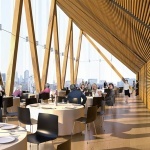 The structure joins the growing list of timber towers and academic buildings cropping up globally, ranging from London’s 121-unit Dalston Lane to the University of Idaho’s under-construction basketball arena. 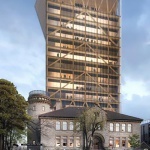 Currently, Patkau Architects and MJMA are wrapping up the design phase, with the goal of beginning construction in late 2019.